This picture was taken one morning just as the rain had stopped in my tulip garden. 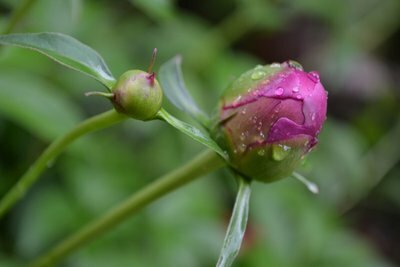 I watched my garden every day as these two beautiful flowers would begin their journey of life. Starting with a small seed and slowly following each other’s paths they began to bud and grow into miraculous tulips. It reminded me of how families grow and share life together just as these two tulips did.